Due to unfortunate rain/camera interactions, I had unfinished business in the Plan Zuid area, so I returned there for a second late afternoon walk. Cool corners at the north edge of the Telegraafgebouw, as seen from the tram along the way. 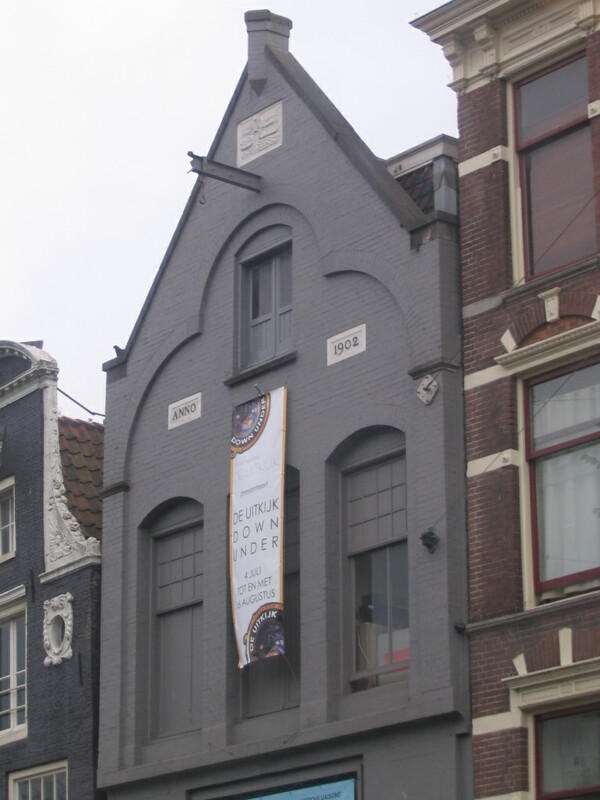 The pleasingly proportioned gable of the Filmtheater De Uitkijk ("The Lookout"), the oldest cinema in the Netherlands, at the crossing of Leidsestraat over the Prinsengracht. 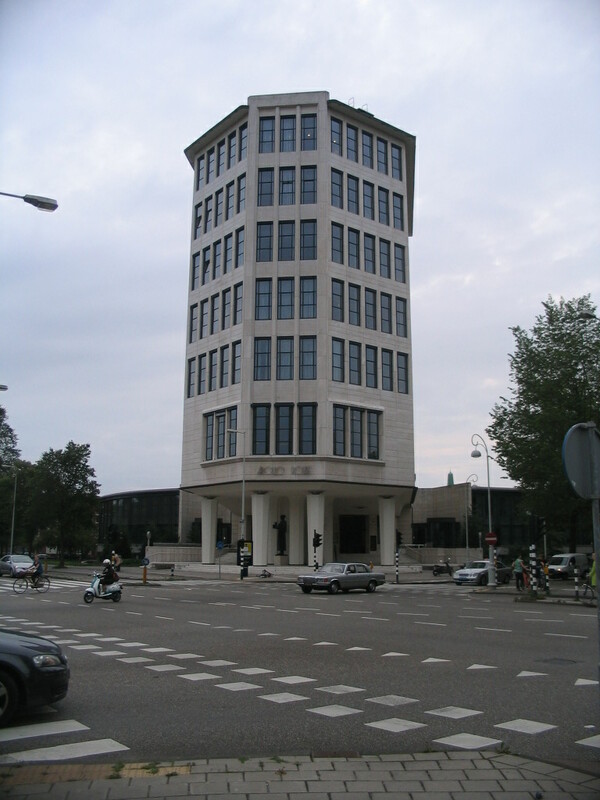 At the corner of Apollolaan and Stadionweg stands the striking Apollo House, an office building designed by Dirk Roosenburg and completed in 1939. 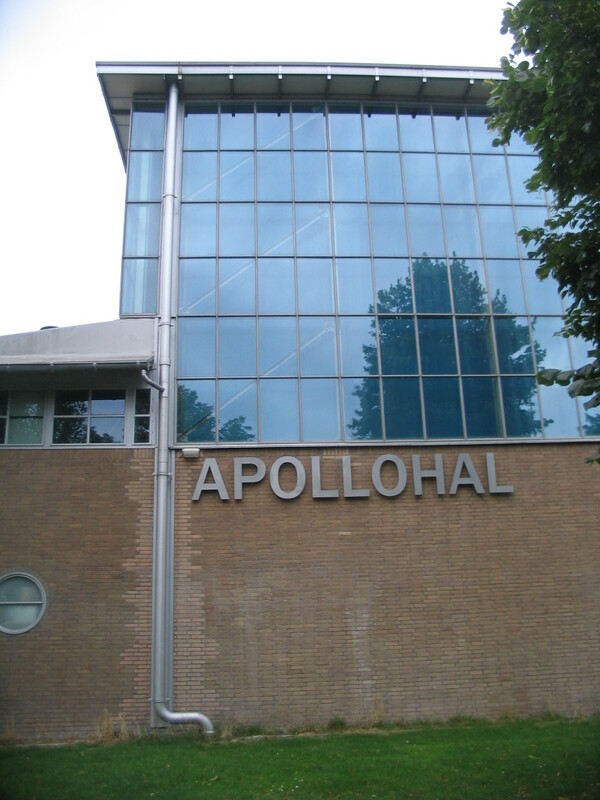 Across the way is the Apollohal, a Nieuwe Bouwen sports hall designed by Albert Boeken and built in 1934. 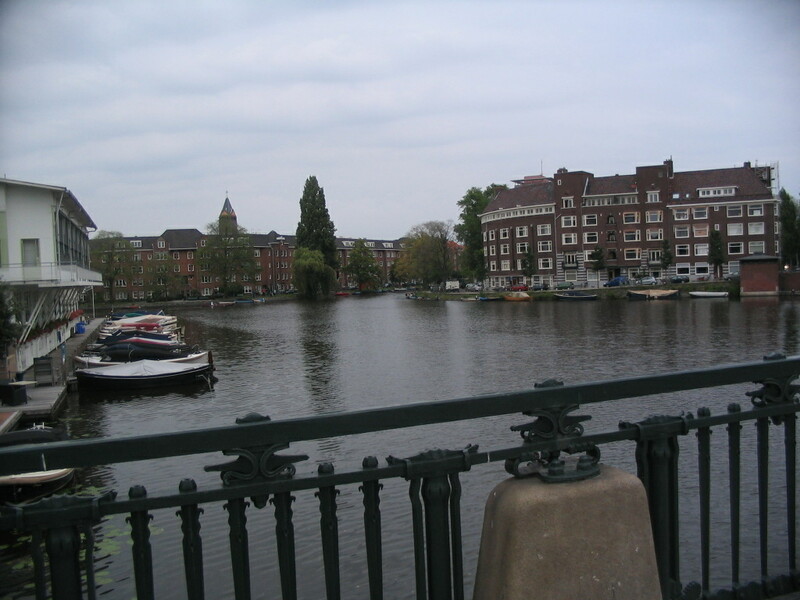 Next to the Apollohal (just out of shot at left), Apollolaan crosses over the Zuider Amstelkanaal and continues as Churchilllaan. In view here is a major canal intersection: the Noorder Amstelkanaal comes in from the left and merges with the Zuider into simply the Amstelkanaal, which recedes forward-right, while the smaller Boerenwetering ("Farmers' Watercourse Ring") cuts straight across the Amstelkanaal. 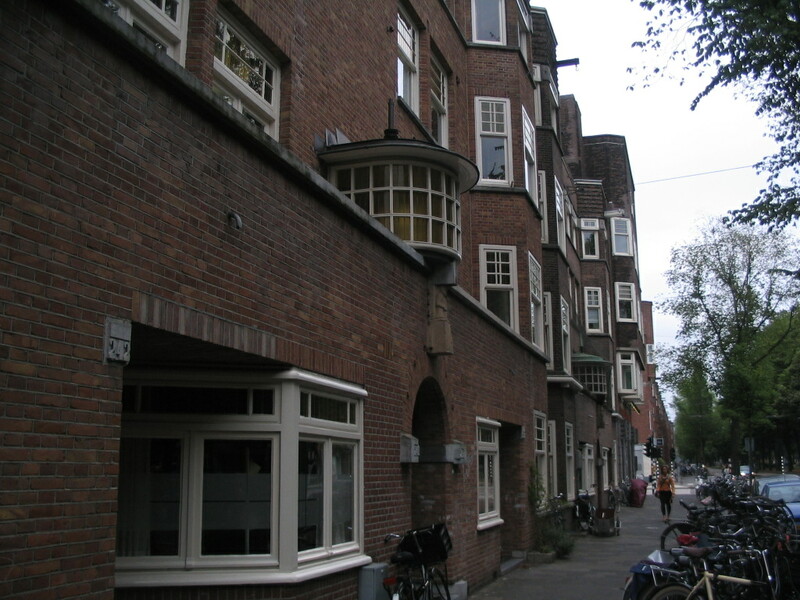 The windows in Plan Zuid are just so inventive, such as this semicylindrical lantern and the receding bay window at lower left, on Churchilllaan between Sloestraat and Scheldestraat. Here, the street walls are exactly that. The arrow in the road sure is sci-fi when foreshortened the wrong way like this. I really like these sorts of details that are warped versions of classical forms. 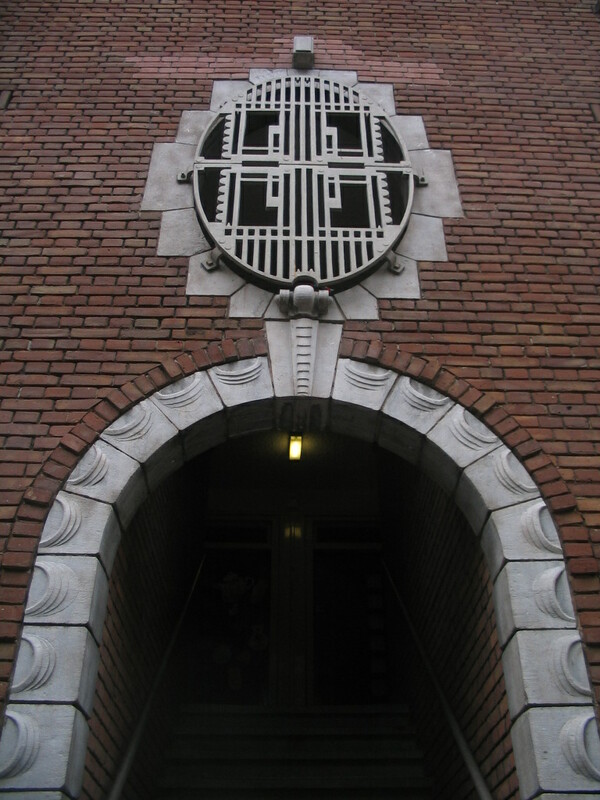 The grille over the window also looks sort of like an abstracted African mask. 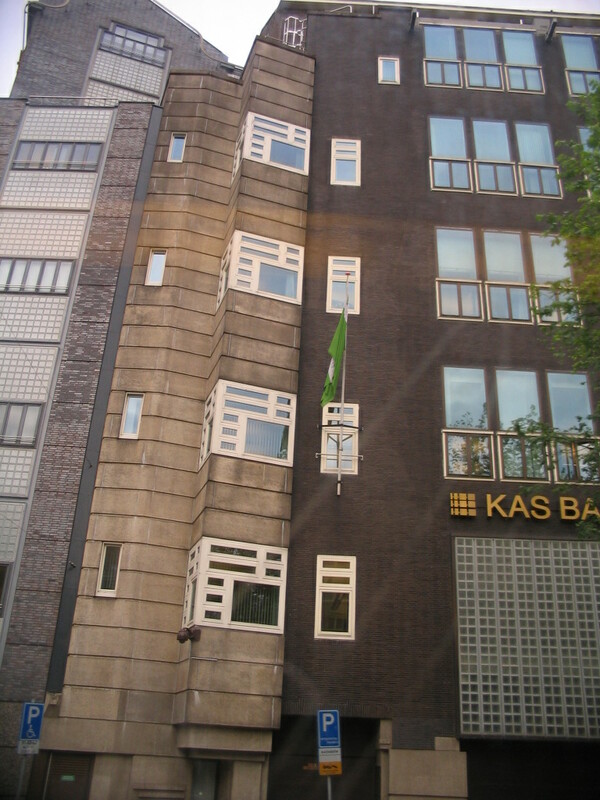 This is still on Churchilllaan, east of Scheldestraat. 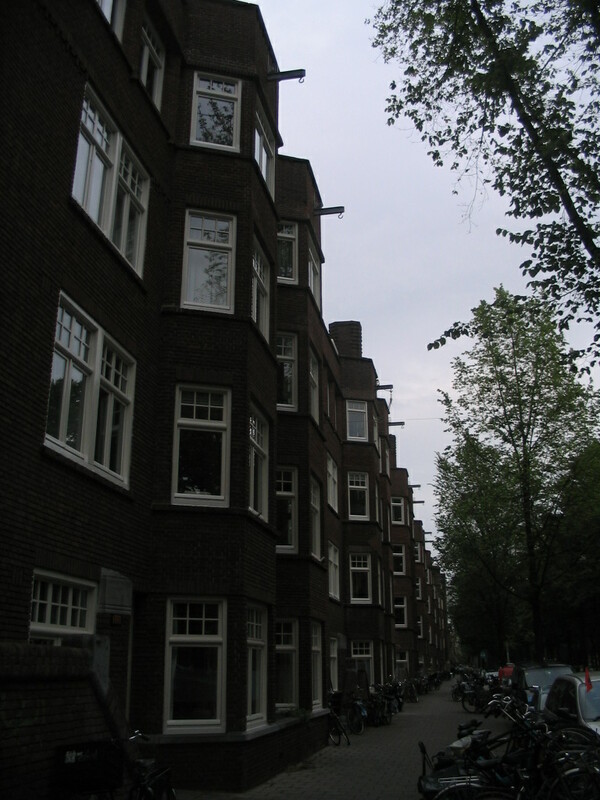 The apartment blocks of Plan Zuid are a somewhat disconcerting combination of these really nice fine-grained details within monumental blocks with repetitive massing, as here on Churchilllaan, particularly along these straight primary streets. 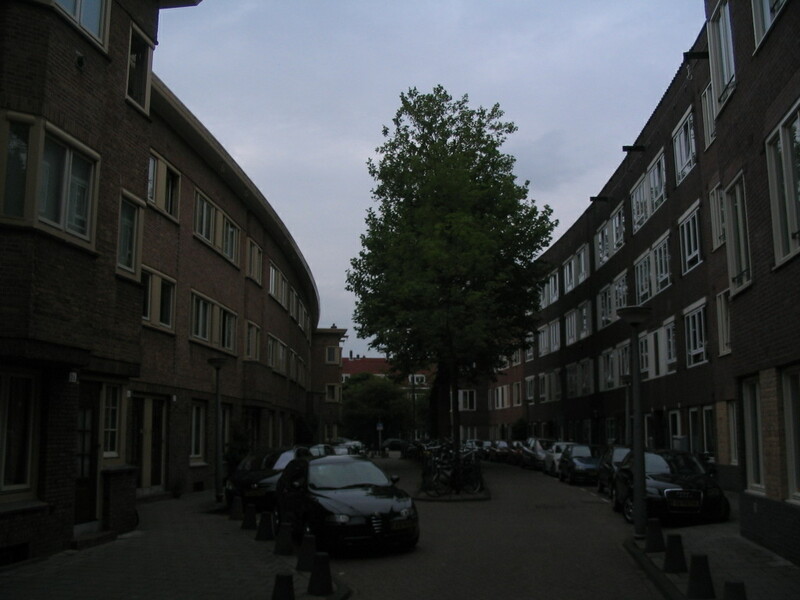 But just after that, a curveball is thrown: the Slingerbeekstraat's curvature is subtle on a map but sweeping on the ground. With all this procession along Churchilllaan, you might have guessed where I was trying to get to. 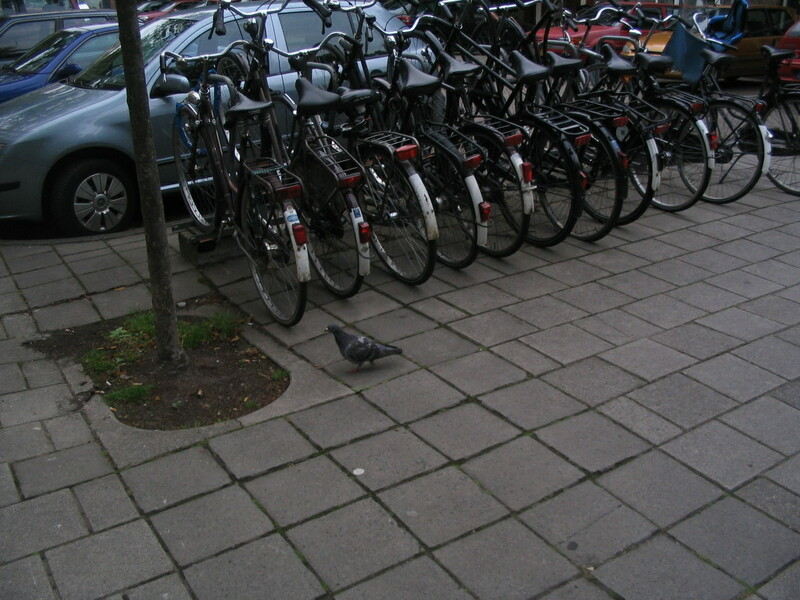 That's right: the Victorieplein. 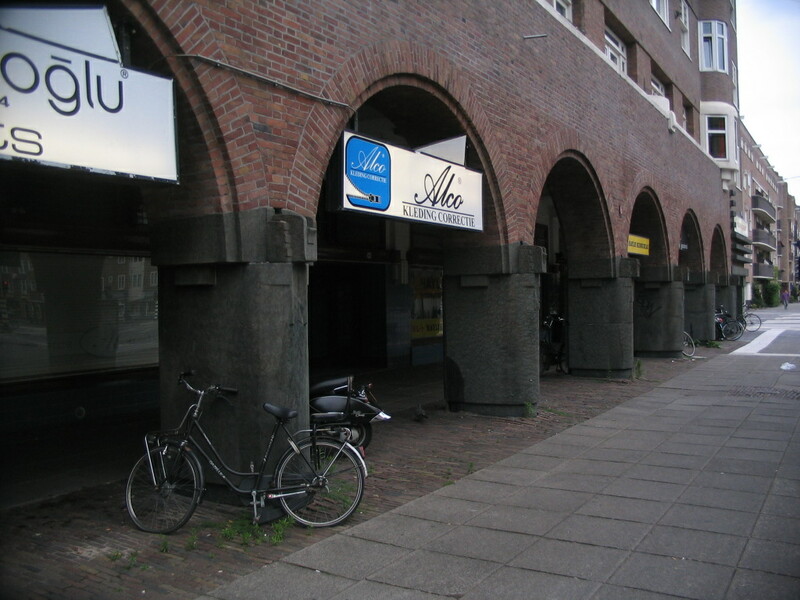 Stout arches on the north side of Vrijheidslaan, just east of the Victorieplein. Nice imposts yo. 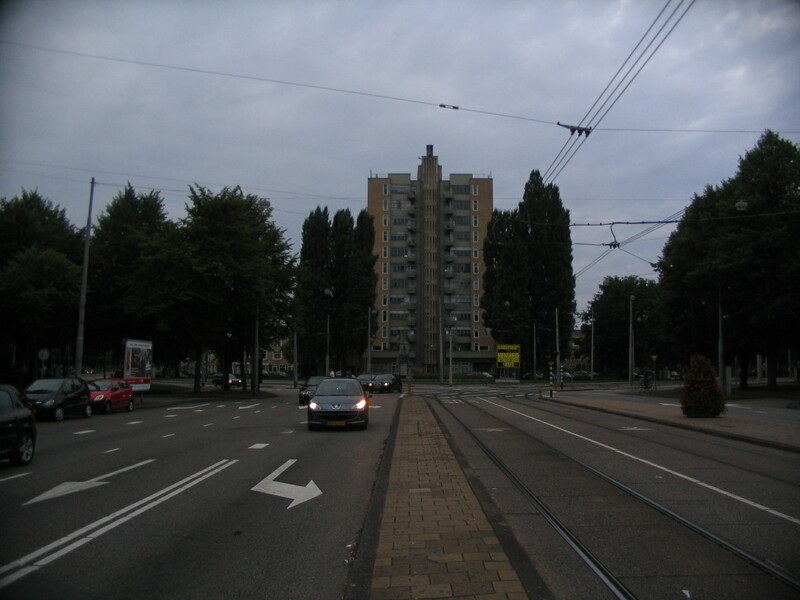 Looking west on the Victorieplein, up looms the Twaalfverdiepingenhuis, designed by J.F. 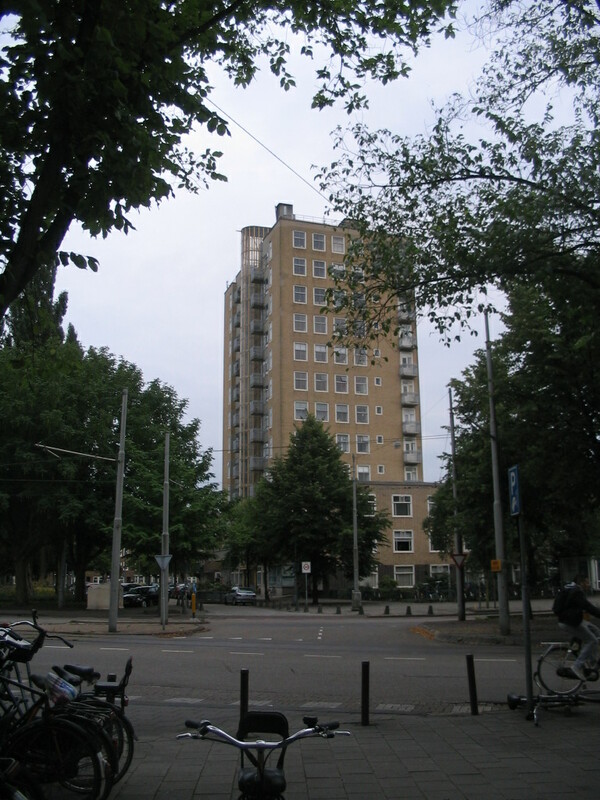 Staal and built in 1932. 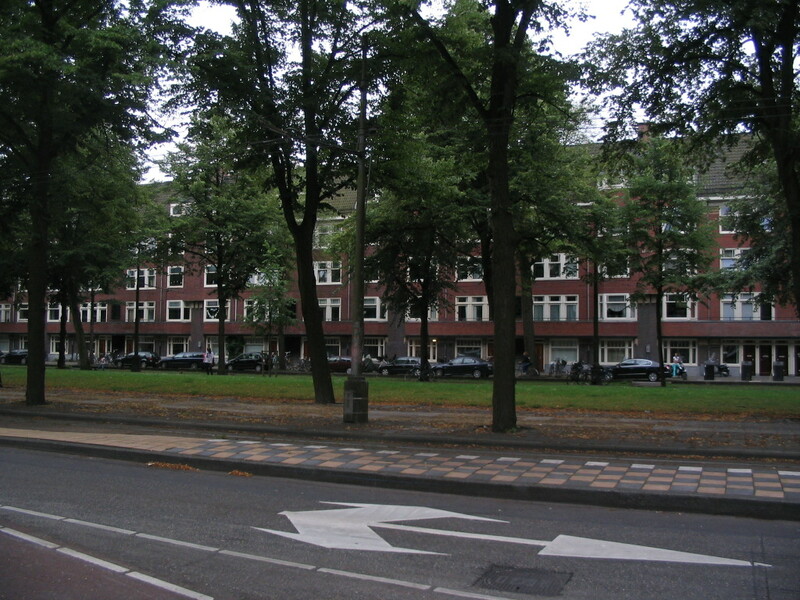 In front is the statue of Berlage. 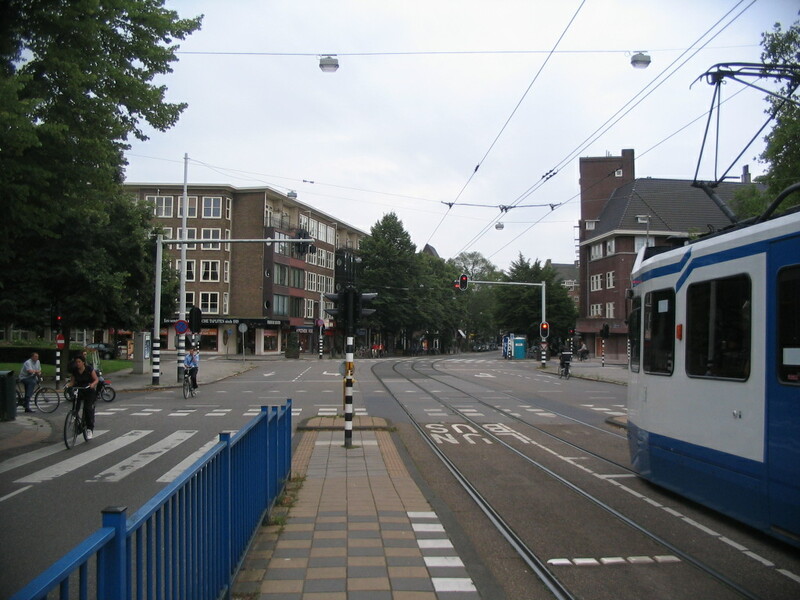 An on-axis view, showing the Churchilllaan to the right and the Rooseveltlaan to the left. 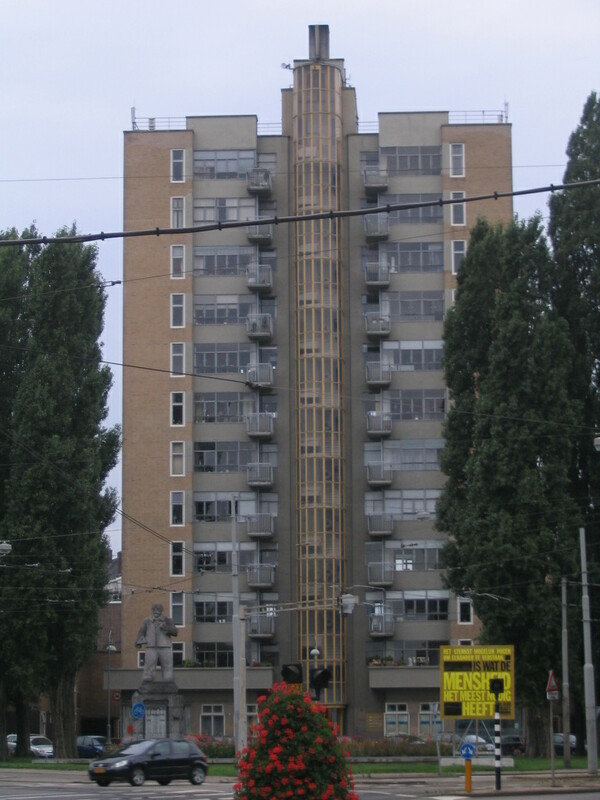 Now Berlage almost blends in with the concrete of the Huis.